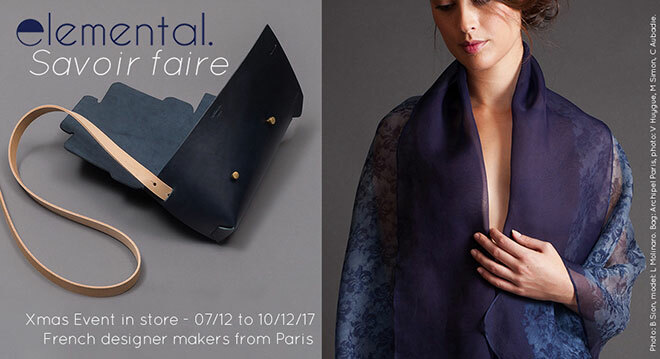 Savoir Faire, French Designer Makers from Paris. Xmas Event at Elemental from 07/12 to 10/12/17. PREVIEW on Thursday 7/12 – 5pm to 8pm. Meet the designers and discover their latest collections sold in exclusivity in London at Elemental. Fine Japanese teas will be served to celebrate this event! Friday 08/12 and Saturday 09/12 – 11am to 6pm. Sunday 10/12 – 11pm to 5pm. Colour of Time by Aurore Thibout, Model: L.Molinaro, Photo: B.Sion. Limited Edition Clothing by Aurore Thibout. Color of Time is a collection of unique pieces made with natural colors and fabrics, result of her collaborations and travels in Japan and Taiwan. 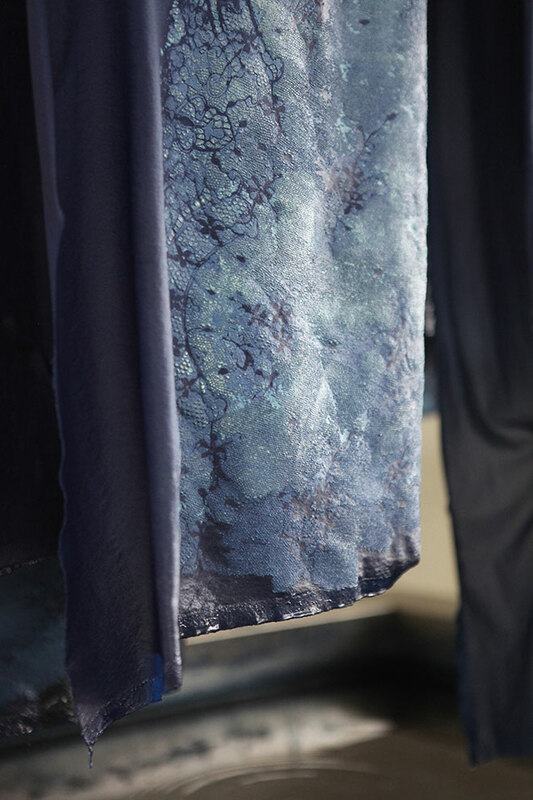 A variation of Taiwanese Indigo blue like trembling lights, traditionnal Japanese silks and unique heritage of the work of natural dyes Master from Kyoto. Aurore Thibout is a textile and fashion designer and visual artist living in Paris. In her work, she captures the passage of time and explores the concept of memory through creating limited editions and unique pieces. 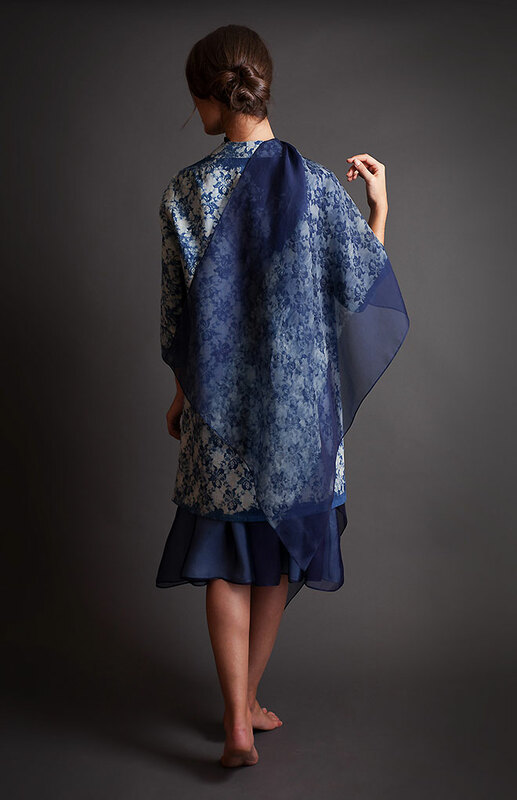 Melding tradition and innovation, her creative process begins with selecting materials and involves recycling antique fabrics and using natural dyes. Her collections reflect cultural heritage from past centuries through to the present day. Aurore Thibout, Photo: Jiwon Shin. Seamless bags by Sebastien Cordoleani, Archipel Paris. Photo: V Huygue, M Simon, C Aubadie. Seamless Bags by Sebastien Cordoleani, Archipel – Archipel offers a universe of pure forms, a robust and minimalist design. 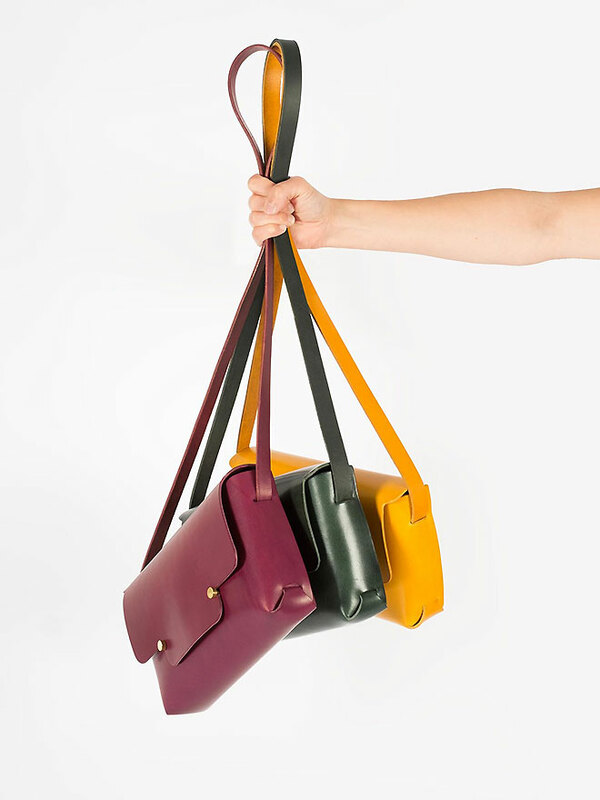 The aesthetic is defined through the production and unique nature of the material; each bag consists of a single piece of vegetable-tanned leather, plied and held together by the handle, handmade in Paris. 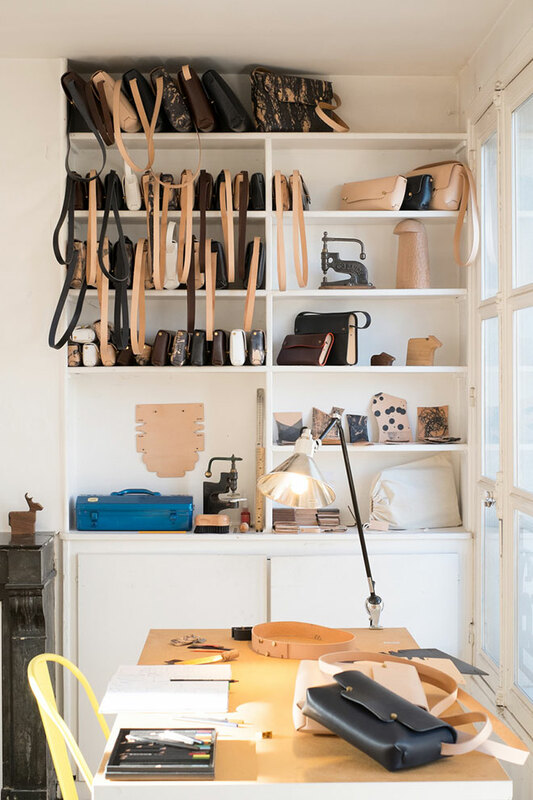 Sebastien Cordoleani's atelier in Paris. Archipel offers a universe of pure forms, a design robust and minimalist. The aesthetic is defined through the production and unique nature of the material; each bag consists of a single piece of vegetable-tanned leather*, plied and held together by the handle. 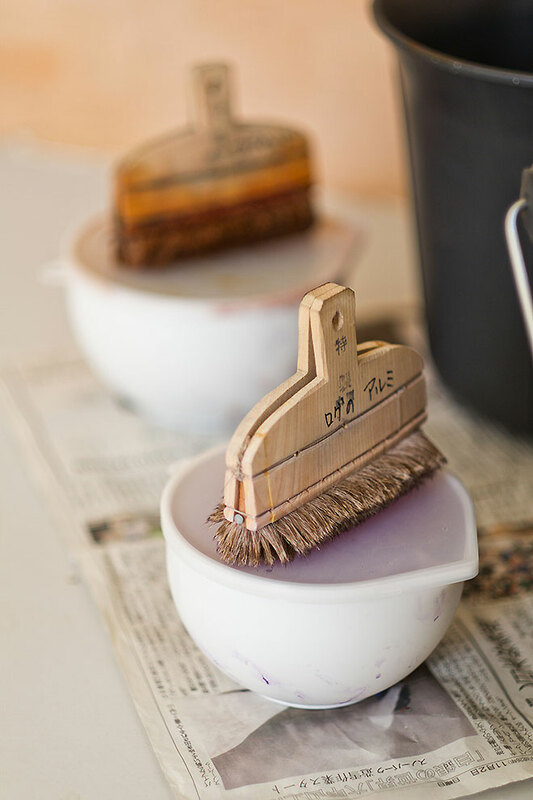 *A traditional and ecological process, based on natural ingredients, offers a noble material, dyed all the way through, that profits from its natural characteristics and develops a patina over time. 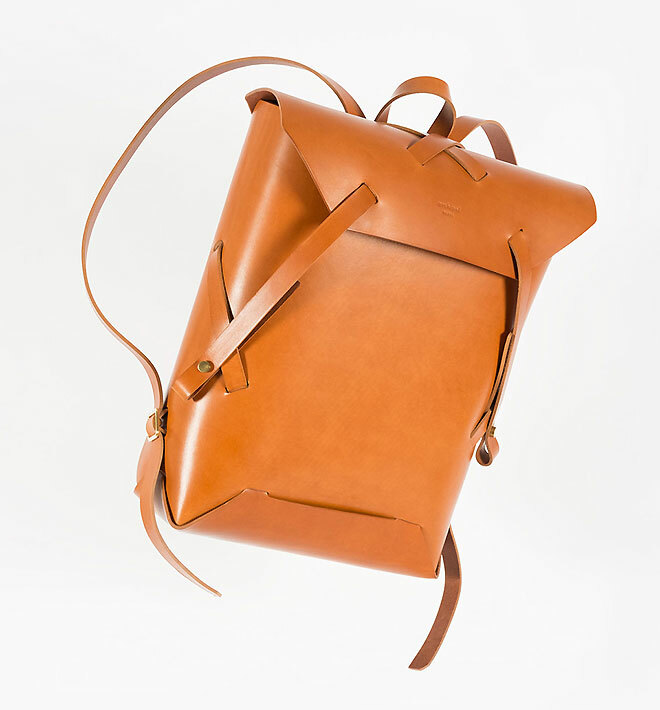 Backpack by Sebastien Cordoleani, Archipel Paris. Photo:V Huygue, M Simon, C Aubadie.